Building Jopwell has been a dream come true for us – and also the most uncomfortable and challenging experience of our professional lives. When we launched in 2015, we were not exactly immersed in the world of diversity recruiting. We were two friends navigating careers on Wall Street, achieving professional growth and success that paid our rent and made our families proud. For both of us, though, something inside was saying it was not enough. We wanted to do more. So we quit our jobs and set out to build a platform that would help talented Black, Latino/Hispanic, and Native American students and professionals to not only connect to leading employers across industries, but feel empowered to pursue career opportunities they may not have otherwise considered. In the beginning, we were laser-focused on developing the platform, and building our community of candidates and corporate partners. As we have grown, however, we’ve spent a lot of time thinking about how to scale our impact, offerings and reach. 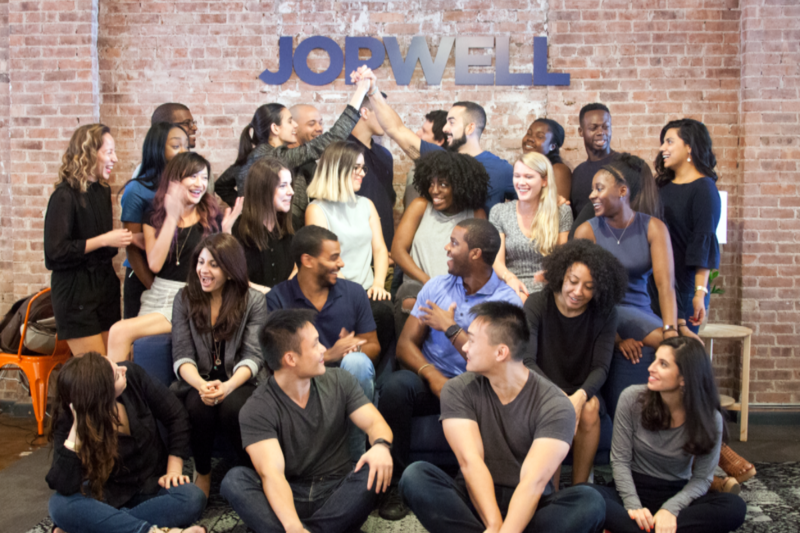 It has always been our goal to expand beyond recruiting, which is why we are excited to announce that Jopwell has just closed a series A round of funding totaling $7.5 million. The round was led by pre-existing investor Cue Ball Capital. Returning investors in this round include Y Combinator, Omidyar Network, Kapor Capital, and Valar Ventures. Among our new investors are SJF Ventures, Blue Ivy Ventures, and Teneo Ventures. This capital from our investors, both returning and new, will enable us to continue working toward our mission to diversify the workforce, while supporting the career advancement of our growing community. We will put this investment to work to deliver mentorship and career advice in an even bigger way, create more networking opportunities, build tools and resources so users can continue to learn and grow in their careers, and expand the stories we are able to share via our digital magazine, The Well. Through new content, events, and initiatives, we want to provide our community a space to discuss the unique challenges they face in the workplace and celebrate the triumphs. This round of investment will also help us expand our product suite to reach more partner companies of all sizes, from the scrappy startup to the Fortune 500. We not only want to increase the breadth of roles candidates can apply for through Jopwell.com – we also want to ensure we are working with young companies to help them prioritize diversity from day one. When we look at the broader diversity landscape and Jopwell’s impact, we are encouraged by the support and interest we have received from our employer partners and other changemakers. Since launching, we have developed partnerships with more than 70 companies including BlackRock, Pinterest, the NBA, USTA, Lyft, and Pfizer. Our partners understand that building a more diverse workforce is more than a buzzy initiative that falls in the hands of a specific department or HR person; it is an imperative that enables us all to build the best possible workforce. And yet, there is more work to be done to create a truly representative workforce. New diversity reports come out each day, pointing to the lack of representation at companies in nearly every industry, but we don't let them discourage our efforts. Instead, we envision a world where Jopwell is one core part of the solution, helping companies in all sectors build amazing and representative workforces. Having support from the VC community as we work towards this mission is incredibly humbling. With this new investment, we’re brought back to the phase we were in before Jopwell launched, where the only restriction is how big we can dream.